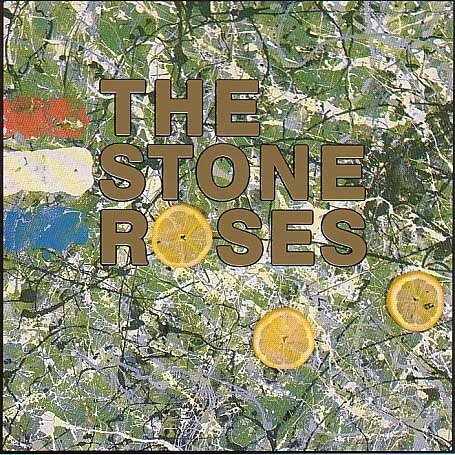 I love The Stone Roses’ first album. I liked it when I was a teenager (sadly, I really was too young to remember it when it originally came out in 1989), but in the last couple of years I have fallen deeply and madly in love with it. I could listen to it literally thousands of times and not get bored. The guitar, the drumming, the singing and the lyrics are all brilliant. The magic contained therein simply oozes from the speakers. One can tell it’s not a modern-made album, but at the same time it’s not dated yet it reminds me of a time that’s definitely past. Nostalgia and longing washed over me as I fell in love with it. Without this album I’m sure Britpop would never have happened and many diverse bands would never have gotten together or created anything of substance. Every song makes me want to crank the volume just a little louder. Do lyrics get any better than “I can feel the earth begin to move. I hear my needle hit the groove and spiral through another day”? Waterfall is in up there in my Top 100 Songs Ever list. I love the way it morphs backwards into Don’t Stop, too. This Is The One is probably also on that list. Strangely for a British band they reference driving quite a bit. This album definitely makes me drive fast, and just the sound of it makes me imagine someone driving down a freeway. The momentum holds on and doesn’t let go. For the longest time I didn’t look super-closely at the album cover and I thought the green black and white spatters were some kind of green-tinted road map of a dense city. Which kind of works with the lyrics “Don’t these times fill your eyes, when the streets are cold and lonely and the cars, they burn below me.” I imagine someone in a tall block of flats looking down on the city’s patchwork of streets.